Crop per Drop is open to corn, rice and soybean growers. By pivot, furrow or flood, may the best farmer win. 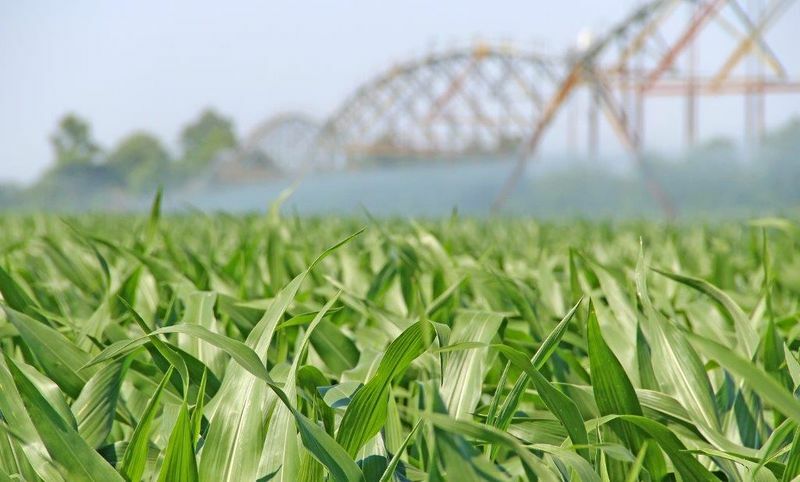 The race for savings and sustainability is on in Arkansas with Crop per Drop, a first-of-its-kind competition measuring bushels and water use by adding a flow meter and rainfall to yield numbers. Pared down, the grower with the most yield and least water takes the prize. Crop per Drop, or the 2018 Arkansas Rice and Row Crop Irrigation Yield Contest, is open to corn, rice and soybean growers. Basic rules: 30 acres of irrigated ground; 3 acres of skip-patterned harvest; and a maximum of one active metered water inlet. Each of the three winners will receive cash and prizes valued at approximately $20,500, provided by the Arkansas Corn and Grain Sorghum Promotion Board (ACGSPB), Arkansas Soybean Promotion Board, and Ricetec. Entry deadline is June 1 and costs $100. (See here for contest rules.) Regardless of irrigation set-up, a portable flow meter is required to measure water use. (Flow meters are available at Extension offices on a first come, first serve basis.) In addition, adjusted rainfall will be added to water use by a judging panel. Zero-grade rice, which carries a pragmatic advantage, is excluded from the contest. Henry’s team will mark and seal all flow meters to prevent tampering, and check competition sites in-season. Winners will have the highest bushel yields per acre inch of water. “For example, if a grower hits 98 bushel soybeans and uses 24 acre inches of water, then his score will be 4 bushels per inch of water,” Henry explains. $9,152 in products from P&R Surge, DamGates, Mccrometer, and Irrometer. For more information, see Crop per Drop. <​a href="https://www.agweb.com/article/who-killed-the-finest-soybean-soil-in-the-world-naa-chris-bennett/" target="_blank">Who Killed the Finest Soybean Soil in the World?